Home Research Faculty Thomas Mareci, Ph.D. Professor Mareci received a doctoral degree in physical chemistry in 1982 from Oxford University for his work on nuclear magnetic resonance multiple-quantum spectroscopy. 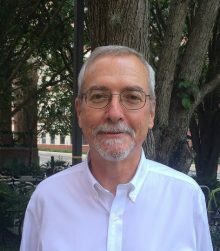 Dr. Mareci joined the faculty of the University of Florida in 1982 and served as the Director of the Center for Structural Biology from 1993-2007. He is an affiliate faculty member of the Departments of Physics and Biomedical Engineering and a member of the National High Magnetic Field Laboratory, where he is helping to develop the in vivo magnetic resonance program. He has published over 100 journal articles and 12 book chapters. 3) Design and construct unique MR coils with enhancement sensitivity to allow the acquisition of very high spatial-resolution MR images and spectra. 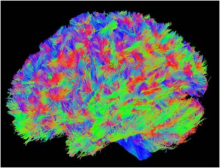 Future work will be directed toward the NMR measurement in vivo of a neurochemical profile of the brain for the study of nervous system. His students come from diverse disciplines: biochemistry, biomedical and electrical engineering, chemistry, neuroscience, and physics.